Lee Kum Kee’s founder Mr Lee Kum Sheung has been known to be the inventor of oyster sauce, and I know many are fans of its dipping sauces. 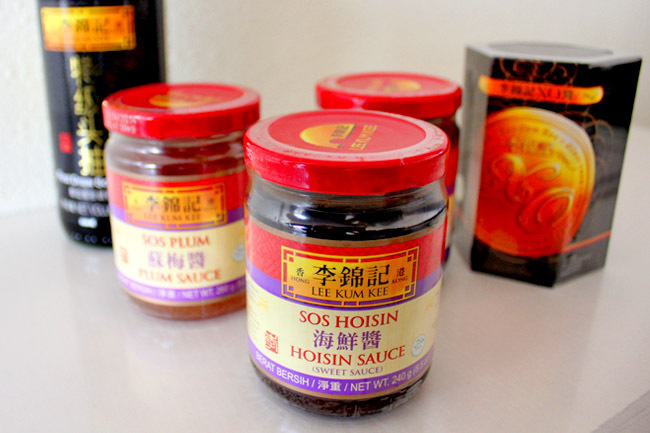 My dad particularly liked the spicy-sweet Hoisin sauce which he used to marinade pork before he roasted or grilled the meat, and the premium XO sauce which can make any ordinary fried vegetable taste good. They have also just launched the First Draw Soy Sauce, a premium soy sauce that is drawn from the soy beans during the first extraction process. As the soy bean are brewed in a traditional and natural method, the First Draw Soy Sauce is rich in both taste and aroma, making it a perfect condiment used to Cook for Your Family. 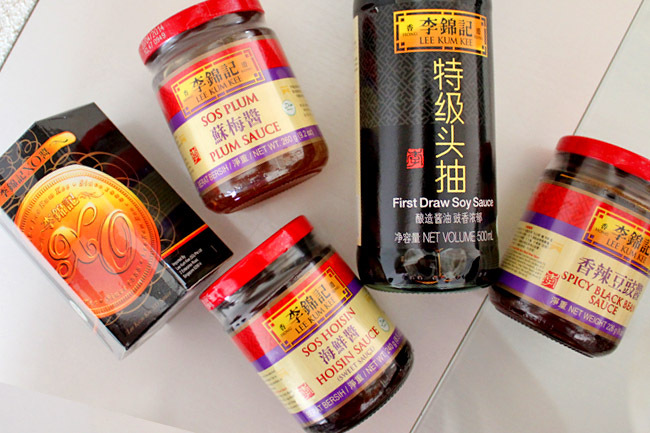 [Giveaway Ended]Lee Kum Kee ‘Fast, Fresh & Simple’ Products Giveaway! Lee Kum Kee is giving away 3 goodie bags to lucky Daniel’s Food Diary readers. Each bag will contain a bottle of XO sauce, First Draw Soy Sauce, Chiu Chow Chilli Oil and Hossin Sauce. 3) Leave a comment below to say what you would cook with the First Draw Soy Sauce. Results will be announced on Thursday 13th September 2012. Contest winners must furnish a Singapore postal address to receive the goodie bags. ← SunnyHills – Why Do Taiwanese Give Pineapple Cakes During Mid-Autumn? I will cook a dishes of seafood fried rice with the First Draw Soy Sauce for my whole family member. I would cook braised pork with First Draw Soy Sauce. Lee Kum Kee sauces FTW! great for quick cooking and dishes out yummy food. My family would love it! Three cup chicken would be one dish to cook with the First drawn soy sauce. I will use it to season my slice meat before I fried it. I will use it to marinate my slice meats before frying it. I will use it together with my grilled fish. Use it to steam the fish. I would use it in chawanmushi. I will buy lee kum kee first draw soy sauce for my wife to cook my favourite dishes steam garoupa and Fu Rong Dan!! My family will love it@! I will cook a traditional french dish, but with an asiatic touch : a chicken rice (yes, we also have a chicken rice in french cuisine ! It is very symbolic that we have the same dish. I’ll slowly cook the chicken in broth with vegetables as in France: carrots, leeks, onions and turnips. I add a touch of ginger, a lemongrass bulb, and a spoonful of soy sauce. Then I will make the rice in the broth of chicken. I serve the chicken surrounded by vegetables and rice, with a sauce made ​​from broth, cream and flavored with lime leaf and soy sauce. a simple fried egg with this premium soya sauce so that i can really taste how delicious it is! im your supporter paperfries at instagram hehe!! I will use the First Draw Soy Sauce to braise meat and serve with a steaming bowl of rice and blanched broccoli drizzled with the same sauce! I love to use first draw soy sauce to steam fish the teochew style! I will use it to fry my specialty noodles! hello, for a novice chef, i would like to use the sauce for any dish that requires soy sauce! A sure win! I would like to cook braised chicken wings for my family members with the soy sauce. braised chicken in soy sauce with ginger; my family’s all time fav! Soy sauce chicken frog legs! Braised soy sauce pork ribs with beancurd skin and peanut! I’ll cook delicious braised pork! I would cook fried noodles.. I would cook double-boiled chicken soup with First Draw Soy Sauce. I would use the first draw soy sauce to cook soya sauce fried noodle, HK style. soy sauce ginger steamed cod. definitely steamed garoupa fish with finely sliced ginger with generous spoonfulls of this delicious soy sauce! I would cook chawanmushi with this First Draw Soy Sauce. In this steamed egg dish, I would reduce the amount of water to make it more creamy, and flavour it with 1 to 2 teaspoon of this soy sauce instead of the usual half teaspoon. Congrats to Grace Tan (Braised meat), Desmond tan (Steamed garoupa and Fu Rong Dan), Marie-Claire (French chicken), Sophia Ang (Fried bee hoon)! You have each won for yourself a goodie bag from Lee Kum Kee. Lee Kum Kee has generously decided to give to 4 winners instead of 3! Thank you to Six Sense Communication for organising this giveaway and picking the winners. Enjoy your Lee Kum Kee seasonings everyone!